When Ed Hardon, the owner of the local hardware store in downtown Tama, neared retirement, he proactively set out to find talent who could take over the business he had built up over 50 years. Three years ago the future owner moved to Tama County to work in concert with Mr. Hardon to gain some insight on the possibilities in the local market. On April 1, 2010, Marty Hardon, his son, took over the family business and expanded the service offering to fit the local market needs. Marty Hardon of Tama, Iowa explains. Remind me – what are the EDIES. HOW WE DID IT: We celebrated 50 years in business in 2010. The business consists of Plumbing, Heating, Air Conditioning, and Electrical services. We purchased a Laundromat in Tama in 2009 and are working on a restaurant. Ed Hardon started the business as Hardon Electric in 1962 in his parents’ garage. Today, Hardons serves a 50 mile radius around Tama-Toledo for Plumbing, Heating/Air Conditioning and Electrical Services. In April, 2010, Marty Hardon started buying the business from Ed and was named President in the same year. In early 2010, Hardons purchased the Tama Laundromat and the adjacent vacant building on West Third Street in Downtown Tama. The Laundromat was completed in December 2010. During construction, the Laundromat was never closed. This facility’s improvements include adding 5 new washing machines and 4 dryers to the facility’s already large capacity. In addition, a Geothermal Heating/Cooling system was installed, new floors, new restroom, new ceiling and high efficiency lighting. 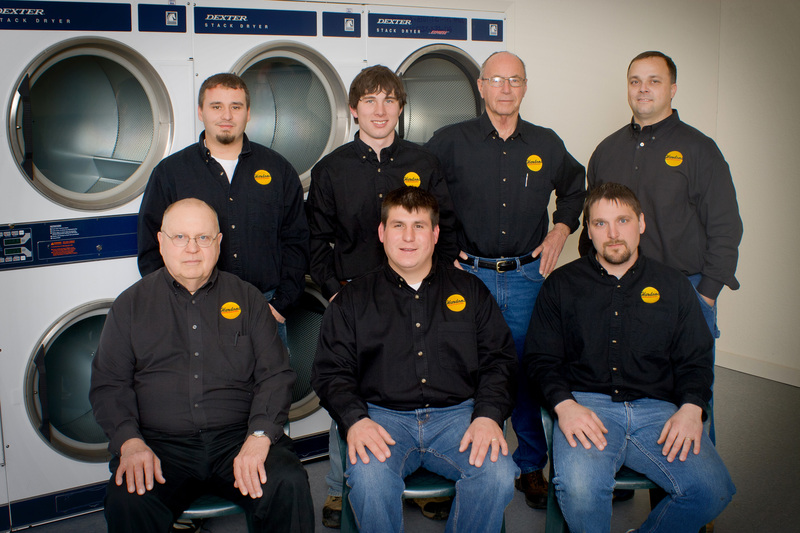 HOW WE GOT THE IDEA: The Laundromat is the only one of its kind in Tama. As there are a lot of local customers living in apartments downtown and many local residents using the Laundromat. OUR GREATEST CHALLENGE: Purchase of new equipment and finding new business financing for this venture. HOW WE OVERCAME IT: Contacted several banks and found a local bank to work with. ADVICE TO OTHERS: Owning your own business requires working many, many hours. Never give up. Photo of Hardon’s employees by Mike Adams.